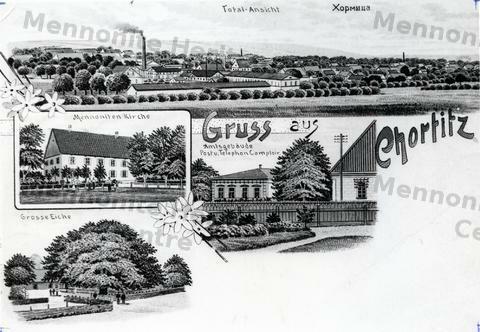 This is a postcard of Chortitza village provides an overview of the village, as well as a view of the Mennonite Church, the telephone and post office, and the great oak tree (HR 53). N:335. (2 prints). See MHC Collection 166:333 for an original of this postcard.